Last Thursday we were delighted to support a visit to Our Lady's Abingdon by children's author Cas Lester, author of the 'Harvey Drew' space stories, 'Nixie the Bad, Bad Fairy' and, most recently, 'Wilfred the (Un)Wise'. Cas spoke to children from five different schools over three separate sessions throughout the day (itself an achievement!) and explained her journey to becoming an author, and where the ideas for her stories came from. The children were fascinated to learn Cas started her career as a children's author after an incredibly successful career making children's TV drama for CBBC (including 'The Story of Tracy Beaker'). 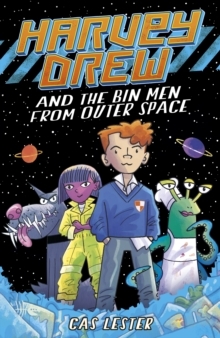 Her first book, 'Harvey Drew and the Bin Men from Outer Space' is a madcap story about an ordinary school boy who - via a malfunctioning app and an intergalactic communications screw-up - becomes Captain of the Toxic Spew and its stroppy, bickering, pizza-obsessed crew, and a very bad-tempered central computer. Thanks to some remarkably similar experiences managing a school football team (!) Harvey soon starts to take control of this bunch of alien misfits. (Via lots of space-based, rubbish-related, seriously smelly adventures, obv). Cas also spoke about her latest books. 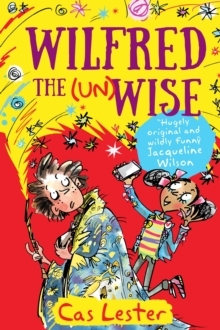 In 'Wilfred the (un)Wise', a young magician from the middle ages who gets pitched forward in time. He has to team up with a young girl in the 21st century, who has set her heart on learning cool street magic. Between them can they pull off magic good enough to get Wilf back to his own time? Troublesome magic is also the theme of Cas's series for younger readers, the first of which is 'Nixie the Bad, Bad Fairy'. 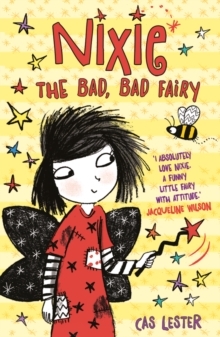 Nixie is no ordinary fairy - she's usually slightly grubby, she's often naughty and she has a very mischievous wand. Nixie's adventures are perfect for anyone just learning to read independently. Cas is a local author and works brilliantly with all sorts of schools, introducing readers to her wonderfully imaginative, chaotic stories. That is quite hard because I’m not supposed to talk about it. 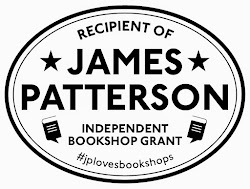 It’s a story about a rather different friendship and it is coming out with Piccadilly next August, but it’s a top secret project so I can’t say any more! 3. What is the best thing and the worst thing about being a children’s writer? The worst thing about being any sort of writer is you are doing it on your own and you can be quite isolated. 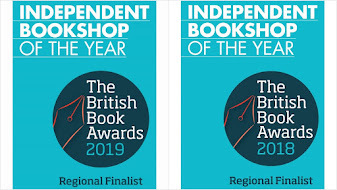 But the best thing about being a children’s writer is that you go out and do lots of events and you meet all the lovely children and it’s wonderful to have that great contact with your readership. 4. Do you have a writer’s survival kit, eg a place, snack or other essential thing you need before you start work? Chocolate, space and a dog. For the first time I actually have an office and my dog will come and lie down next to me, which is very settling. Then after a while she will sigh and jump up and go and get my walking boot. I used to be able to work anywhere and can cope with noise except for two things I can’t work through – a child crying and a single fly buzzing. (Cas also confessed to a drawer full of chocolate - the dangers of being interviewed with your daughter present). I don’t know if there was a moment when I thought I can now talk about myself as a children’s writer. It wasn’t my first book or even the first time I signed a book because when you first become a published children’s author you feel that you are really a fraud. But I think it might have been when I heard I had only sold one less book than Brian Blessed at the Chipping Norton Literary Festival. Cas Lester gave us all a wonderful day at OLA! Brilliant!